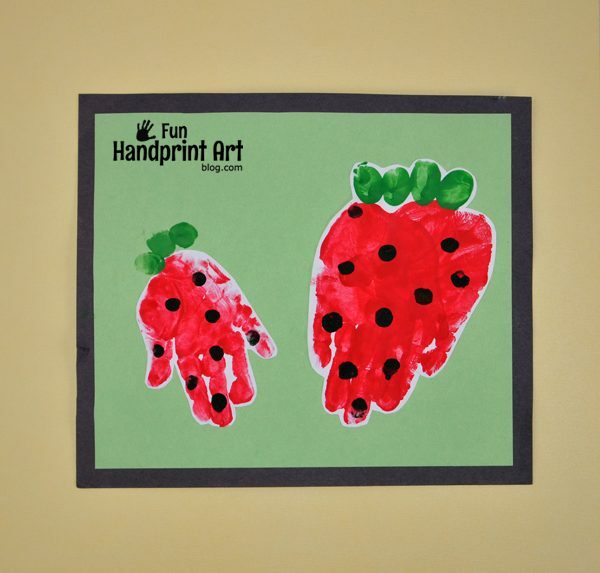 The other day I was going through a box of random papers and was so excited when I found this adorable handprint strawberry craft I made with the kids. I wish I knew how old they were because I can’t believe how teeny my daughter’s hand is! It make a great reminder to write the date or age on it. We made ours as a brother/sister craft, but it makes a great summer craft too! 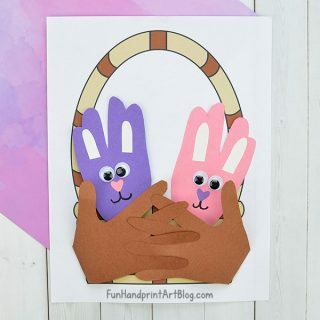 Make a red handprint with the fingers touching each other verses in an open position. Make thumbprint leaves on the top using green paint. The black seeds are made using fingerprints. You could use yellow paint instead. I cut around ours and glued them to a green scrapbook paper (or use construction paper). 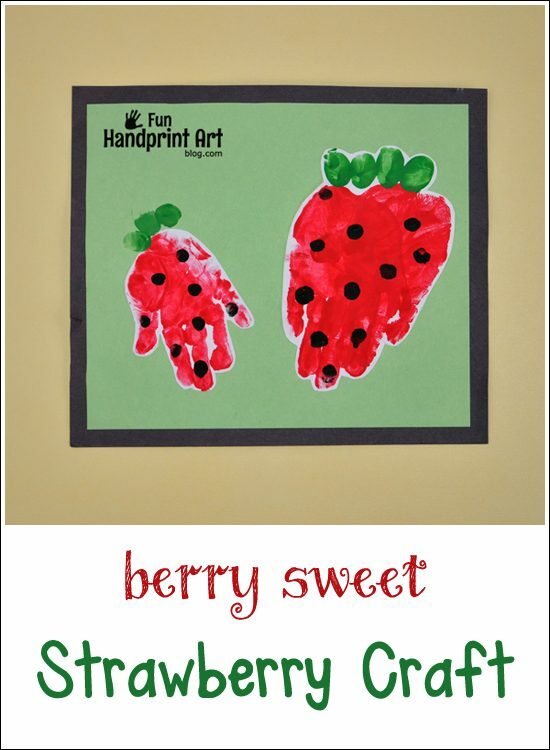 This strawberry craft looks so much better than the one I made with my son for Mother’s Day a few year’s ago! I love that it has both my little ones handprint on it. Stop by our Sizzlin’ Summertime Fun board or Pinterest for more summer fun! 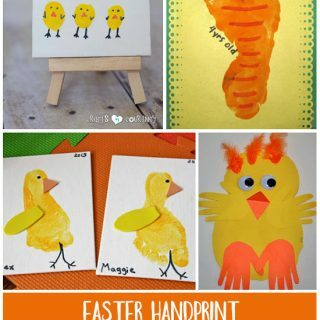 Follow Amanda @artsy_momma’s board ☼ Sizzlin’ Summertime Fun for Kids! on Pinterest. So cute. Could add some words for an easy birthday card. Thanks for sharing. This is definitely something my young child can do.